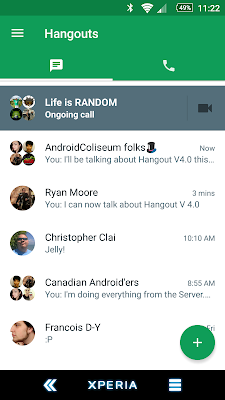 Google Hangouts hangouts v4.0 version 4.0 Google's Hangouts v4.0 is being released and here's what you should know! 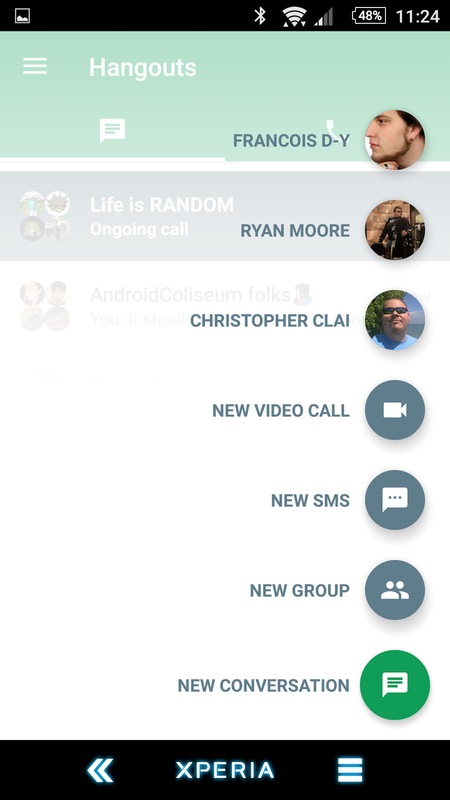 Google's Hangouts v4.0 is being released and here's what you should know! 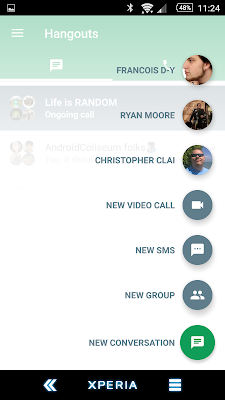 It's finally here the much anticipated release of Hangouts is here! We've been seeing screen capture and posts about Hangouts 4.0 for a few months now and we've all been going crazy over the release date. There has been lots of hype about what to expect in the release and this is just like releasing the valve to drop the pressure just a bit. 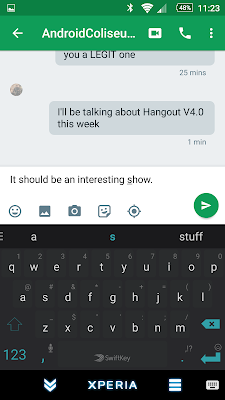 Starting today the Hangouts version 4.0 will be rolling out to people. Let's go ahead and start looking at the changes that Google made. It's definitely looking more fancy with a dab of material design, the look and feels has changed a bit. The transition through the various area on the phone are more intuitive and fluid. This allows the user to feel at home. You'll notice that with the nicer looking, more fluid transition that the application responds faster to your interactivity. 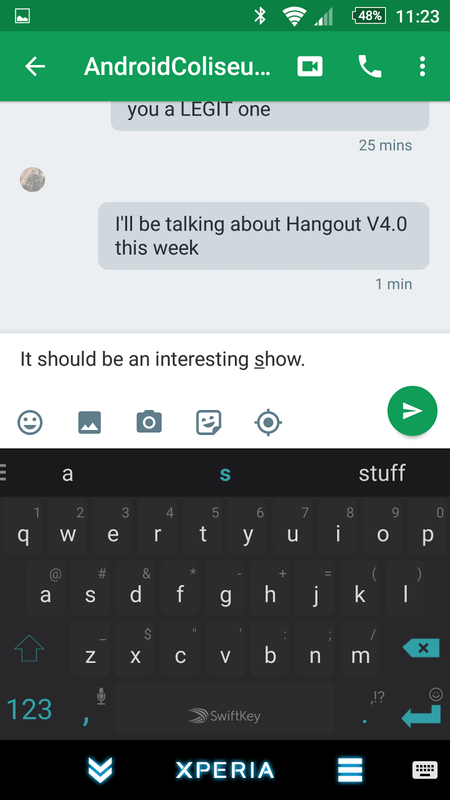 This should make the use of SMS and Hangouts more comfortable and less annoying. The new compose button makes it easier for anyone to start a new conversation. You will be able to see that your conversation list is easier to understand from a single conversation, a group conversation to an SMS, but there's even more, with that, you now have a revamped and easier way to add attachments, emoji, gifs or just your location sharing. 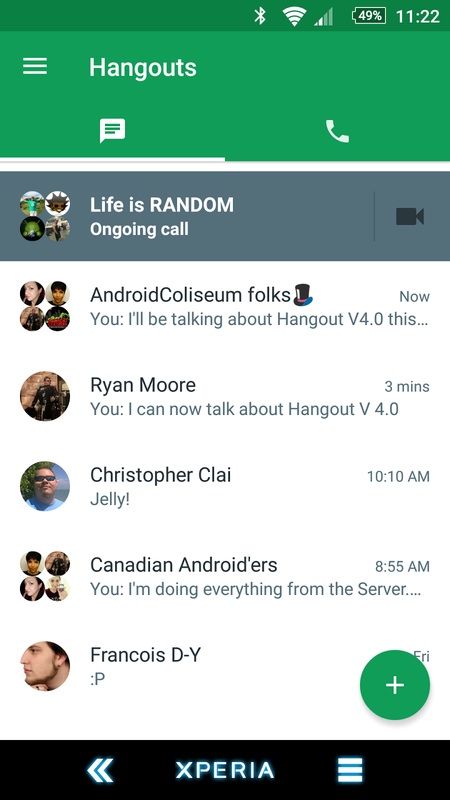 Hangouts now makes use of Android Wear, if you have a Wear device, you can now use it to send, reply to hangout messages, view and access your contacts from it. How about you give it a try? The APK is available from Android Police and APK Mirror.